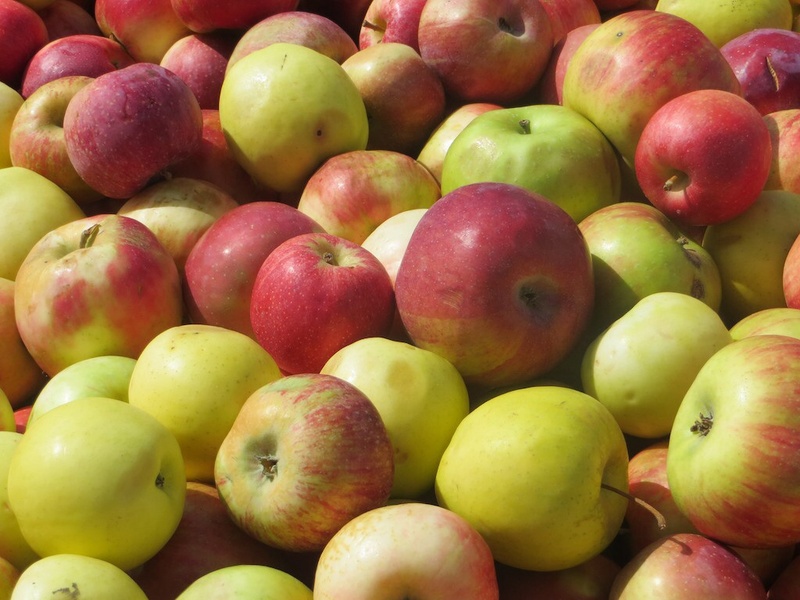 Fall apples are a fresh, Pennsylvania favorite! Autumn offers the pick of the litter when it comes to this locally produced fruit. Perfect for mid-day snacking, baked in a pie, or start canning now to have holiday presents for friends and family! One classic way to preserve is by making apple butter. Apple butter has a long history in the Pennsylvania & Ohio areas – like tapping trees for maple syrup, it was often a big celebration, with families and friends all gathering to pitch in for this yearly tradition. Apples are are peeled, corred and boiled to create this sweet and creamy fruit butter. Copper kettles were a mainstay of this tradition, kept with a fire underneath for an entire day to make a batch of apple butter. Now, apple butter can be made worry-free at home in a crock-pot or with some watch, on the stove. What’s your favorite way to enjoy Fall apples? Fresh from the tree? Pie? Crisp? Carmel dipped? Share your Favorite in our Comments!